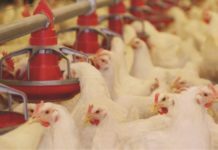 How many mycotoxins should be analyzed in Indian Poultry Feeds and Raw Materials? The so called “Mycotoxins” is not a new subject to Indian poultry industry. Perhaps, it is not an overstatement to say that Indian poultry feed millers, integrators and farmers understand mycotoxin challenges much better than their counterparts from the other countries. This is due to the extensive applied research carried on mycotoxins in poultry as well as high occurrence of aflatoxicosesin the field. Mycotoxins are secondary metabolites of molds and their presence in the raw materials and feeds depends on many factors. Today scientists have discovered more than 500 mycotoxins but all of them may not be of economic significance. Some of these factors include moisture, temperature, relative humidity, insect damage etc. during plant growth as well as during storage of raw materials and feeds in feed mills. 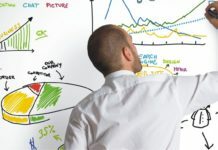 When feed millers need to make a decision about accepting or rejecting incoming raw materials, individual raw materials especially grains should be analyzed for mycotoxins. When bird performance and health is questioned in the field, poultry feed should be analyzed first for mycotoxins. 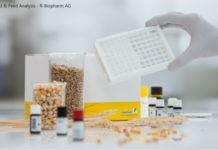 If the feed contains more than accepted levels of mycotoxin/s, then raw materials should be analyzed to ascertain the root cause of the problem. 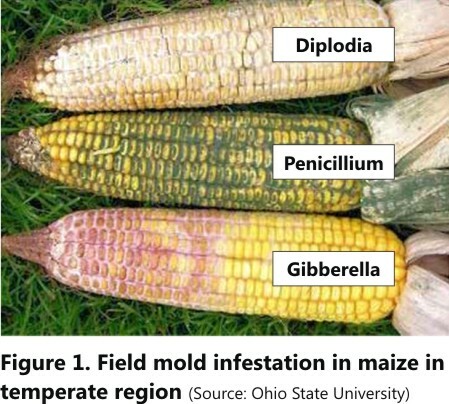 The molds and mycotoxins that are produced in the field during crop growth are respectively called as “field molds” and “field mycotoxins”.Aspergillus, Penicillium and Fusarium are the most studied field molds (Figure 1 and 2). 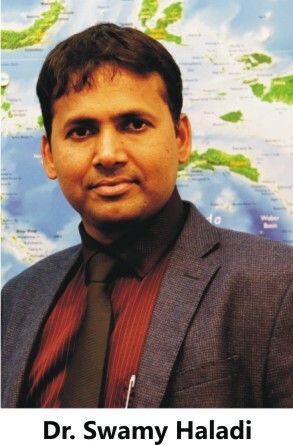 Aspergillus generally grows in tropical countries such as India while Fusarium molds are capable of growing both in tropical, semi tropical and temperate regions of the world. Penicillium molds are more common in semi tropical regions such as Eastern Europe. Aspergillus and Penicillium molds are well known to be grown during storage of raw materials and feeds (Figure 3). 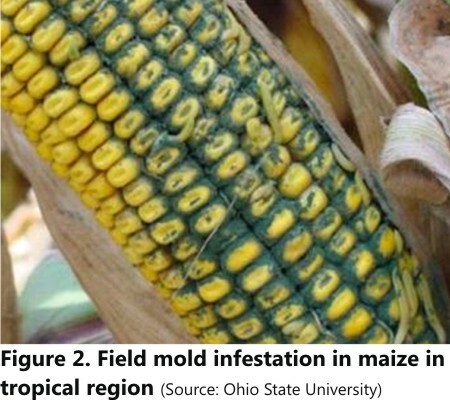 Storage molds and themycotoxins these producecreatea significant problem in tropical regions such as India. From Table 1, it can be clearly understood that India being a tropical country (some parts are semi-tropical in winter season) the type of mycotoxins those can be expected in raw materials and feeds are aflatoxins, ochratoxins, cyclopiazonic acid, T-2 toxin, HT-2 toxin, DAS, fumonisins and moniliformin. 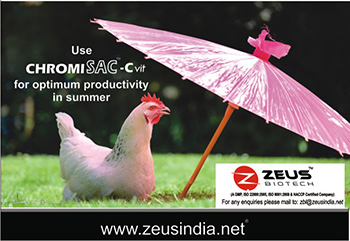 As mentioned earlier, today Indian poultry industry has the practice of analyzing raw materials and feeds for aflatoxins, ochratoxins, T-2 toxin, DON, zearalenone and fumonisins. This practice may not be relevant to Indian poultry (Table 2) and that raises few questions. 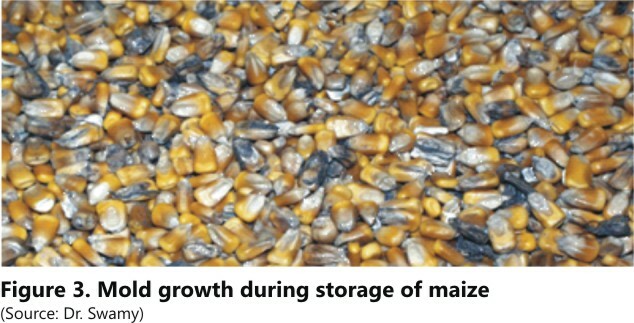 Many surveys have been conducted over the years on mycotoxin contamination in Indian raw materials and feeds. One such survey (Biomin Mycotoxin Survey 2017, Table 2) clearly shows that the occurrence of fumonisins was the highest (88%) followed by aflatoxins (81%) and ochratoxins (76%). Mycotoxin toxicity depends on the species of animal in question, age of the animal, type and number of toxins detected, and the concentration of mycotoxins in feed. LD50 values are commonly used in laboratory animals and poultry to determine the severity of toxicity of mycotoxins to a specific species. LD50 (mg/kg body weight) means the amount of single dose of toxin that is required to kill 50% of experimental population. In poultry, such measurements are generally made using one-day-old broiler chickens. Table 3 shows LD50 values for some of the mycotoxins of importance in poultry. According to Table 3, poultry species is more sensitive to ochratoxins followed by T-2 toxin, aflatoxins and DON. Poultry is quite resistant to DON. Taking into account the kind of mycotoxin analyzed in India today, type of mycotoxins actually detected in survey and LD50 values of mycotoxins in poultry, the following questions can raise. An honest effort has been to answer them with scientific facts. 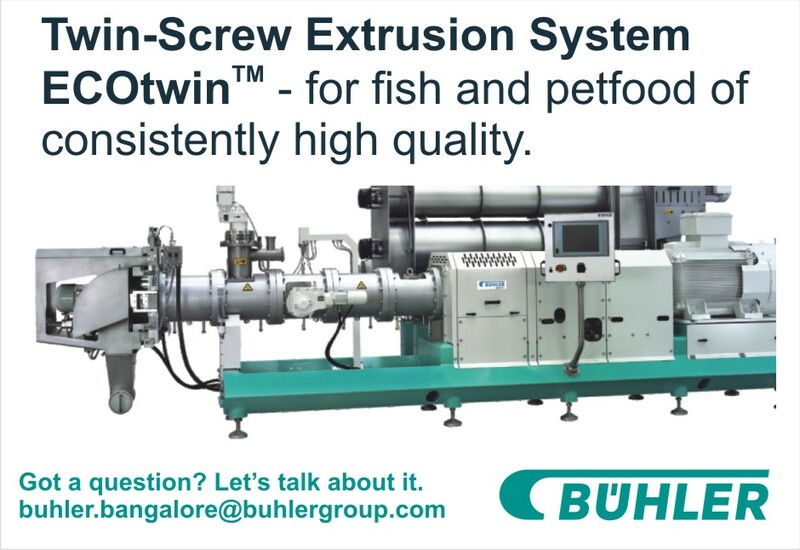 Why are we analyzing DON and Zearalenone in Indian poultry raw materials and feeds? Table 2 clearly shows that the concentrations of these two toxins are quite low (76 and 21ppb). Moreover, these two toxins are very less toxic to poultry. Please refer to LD50 value in Table 3. Zearalenone levels as high as 800ppm did not cause much toxicity in poultry (Leeson et al., 199%). Does the high occurrence of fumonisins in Indian feeds warrant its regular analysis? The answer is “No” as the concentrations detected are too low (Table 2) to cause toxicity in poultry. Weibking et al., (1993) proposed minimum effective dose of 75ppm (75,000ppb) fumonisins to cause toxicity in poultry. This is about 180 times that of the average fumonisins detected in Indian raw materials and feeds (Table 2). Do we need to analyze T-2 toxin? There is no doubt that poultry is sensitive to T-2 toxicity (please see Table 3). However, the concentrations are too low to cause toxicity (Table 2). Given their high toxicity in poultry, it is recommended to analyze T-2 toxin case-by-case basis. This means whenever the birds are experiencing immunity and gut health challenges, the analysis of T-2 toxin in the feedis recommended. Rapid analysis of mycotoxins at feed mills is very critical to maintain quality of raw materials and poultry feeds. In this regard, a reliable and relatively cheaper technology has been developed which can analyze mycotoxins in less than 15 minutes. Mycotoxins continue to pose threat to Indian poultry industry by compromising feed quality and health and performance of broilers, layers and breeders. Quality control measures at feed mill such as analyzing moisture and mycotoxin levels of incoming raw materials will help to accept or reject raw materials. Analysis of feed is warranted only when poor bird performance is reported in the field. Frequent analysis of raw materials is recommended only for afltaoxins and ochratoxins and T-2 toxin analysis can be done case-by-case basis. 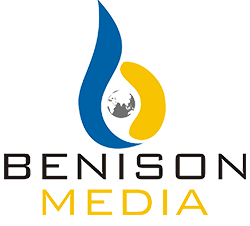 Taking into consideration the scientific facts, the analysis of poultry raw materials and feeds for DON, zearalenone and fumonisins is not required.